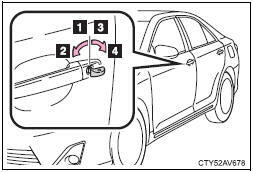 Turning the key rearward unlocks the driver's door. Turning the key once again unlocks the other doors. *: This setting must be customized at your Toyota dealer.